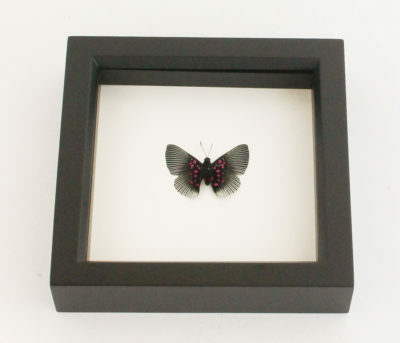 The Apollo Metalmark’s (Lyropteryx appollonia) underside has radiating turquoise lines and pinkish/red dots. It lives in South America and is often seen near urine-soaked ground, which the butterfly drinks using the “filter-feeding” method, whereby they imbibe almost continually, extracting salts from mineral-rich patches of ground, or from the edges of puddles. 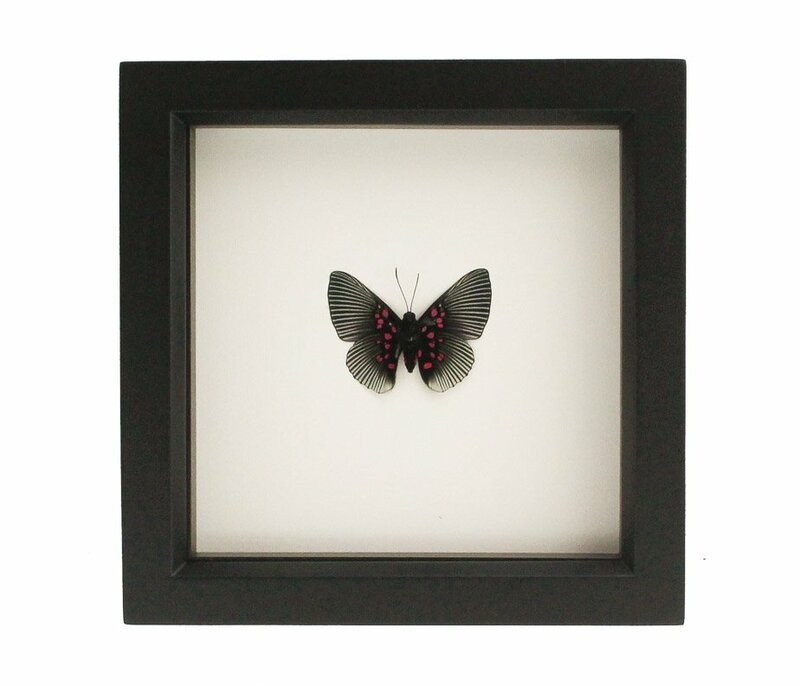 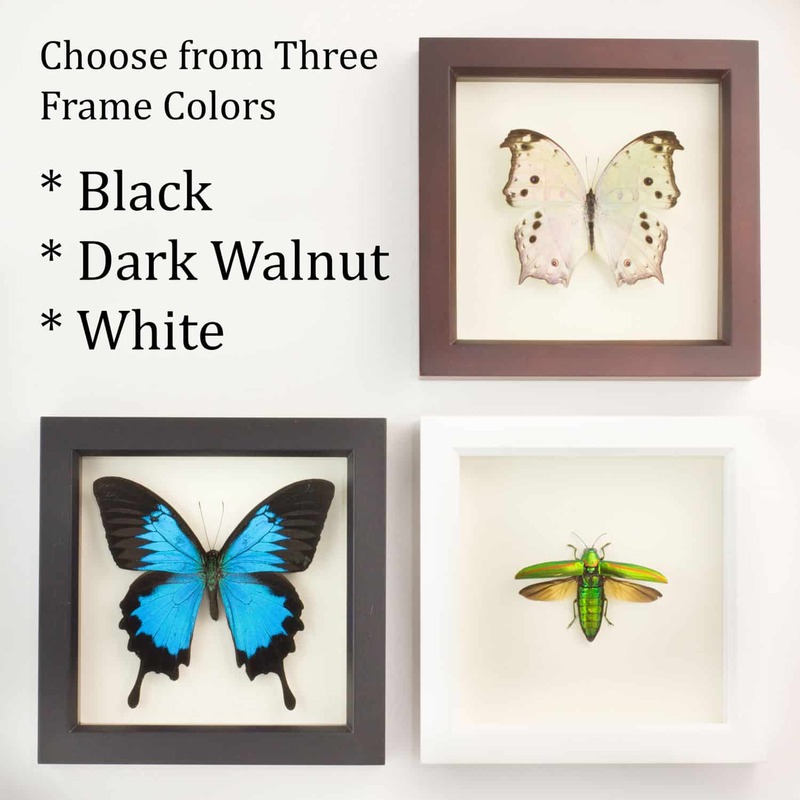 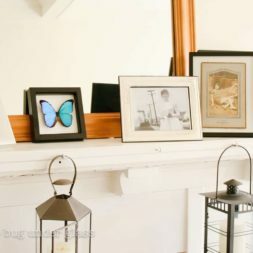 This butterfly taxidermy art is professionally mounted and sealed in a shadowbox frame with UV blocking glass. 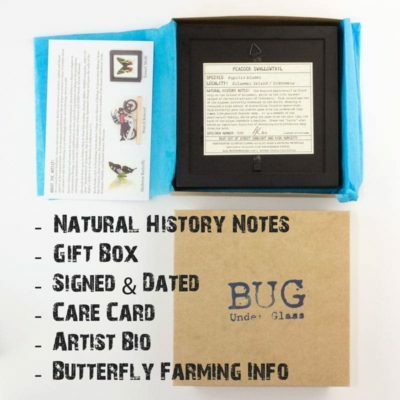 Natural history story about the specimen comes on a vintage style museum label. ► Gift box, tissue paper and info about ethical butterfly origin and care of display. 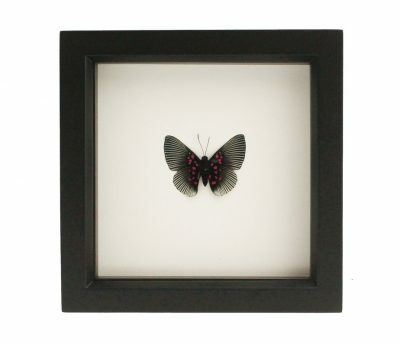 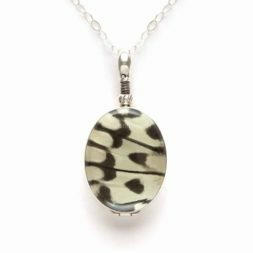 This butterfly is called a Rice Paper Butterfly and is a classic black and white. 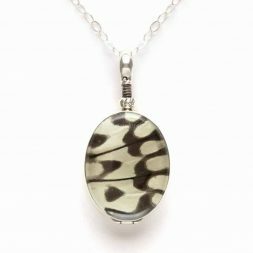 SPECIES: Rice Paper Butterfly (Idea leuconoe) from Asia.